Kim recently moved her training set up from Rosehill to the Central Coast where her horses thrive in the peaceful surroundings. 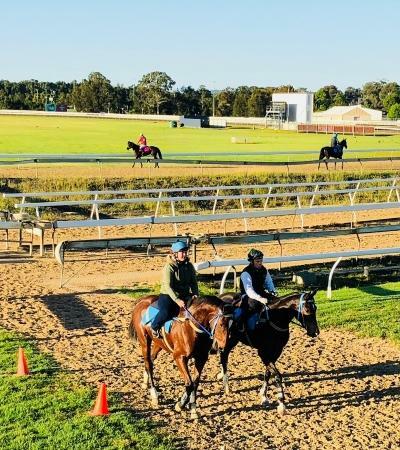 At Wyong, the horses are stabled in a brand new spacious stable complex with a fully covered walking machine and two very good sand tracks for all types of work. As an added bonus her agistment farms are located only 5-10 minutes away. Kim’s horses also have the luxury when needed of utilising the Aquawalker at Limitless Lodge which is only a couple of kilometers away from the stable. The Aquawalker is a great tool to freshen horses up both physically and mentally and change their routines. Kim’s hands on approach and attention to detail means she has a boutique stable with 20 – 24 horses in work. "I love to give each individual horse my fullest attention and know them all personally”. 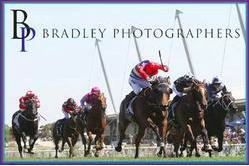 Wyong is situated on the central coast of NSW and the racecourse is the best and safest track in New South Wales. Wyong Racecourse has a track circumference of 1791 metres and has a home straight being 275 metres long. The track is of circular shape and has one 250 metre chute.